This site will provide information about this special celebration which takes place in Imbabura. You will find readings, videos and other resources about this tradition in our beautiful country. Inti Raymi is the Festival of the Sun and occurs every year during the June solstice. The celebration is to honor the Inca sun god (Inti) for the heat and energy that allows plants to grow. 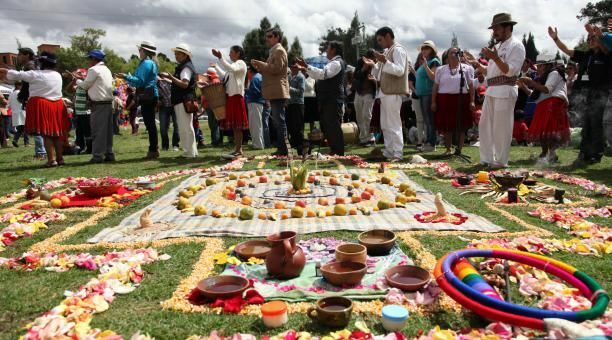 It is the most important of the four sacred festivals (Raymi) celebrated by indigenous Andean cultures, which exist in Ecuador and all the way down to Argentina/Chile.